The permits the user to perform batch conversion of the emails of each EDB mailboxes into the EML format. Also, it maintains the data integrity after conversion of .edb files. It will help to save all the emails in EML file format along with their respective subject line. Once the scanning completes, start loading the EDB file that is present in it. After this, users can easily view Exchange mailbox items including contacts, calendars, emails, etc. 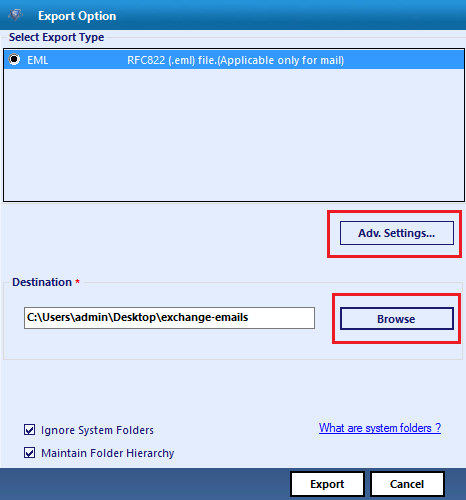 Through this converter tool, the user can appear multiple Exchange accounts and export them together. After saving, users can check or uncheck data items that may be exported or not. 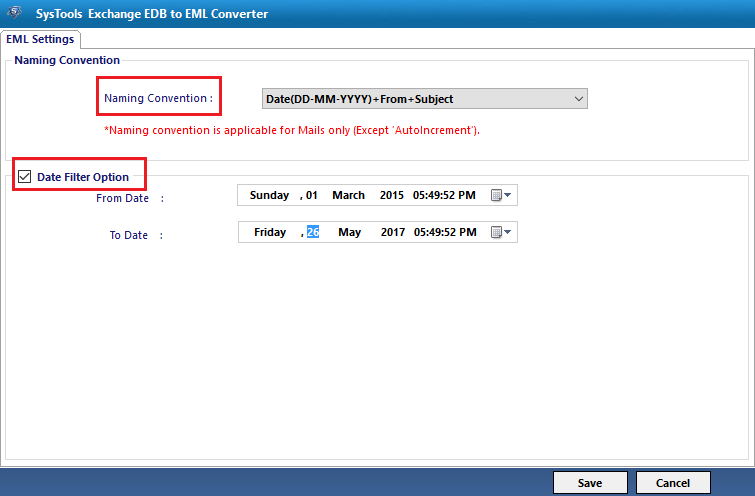 Exchange to EML Converter will create the respective folder where to save each email in the EML format. 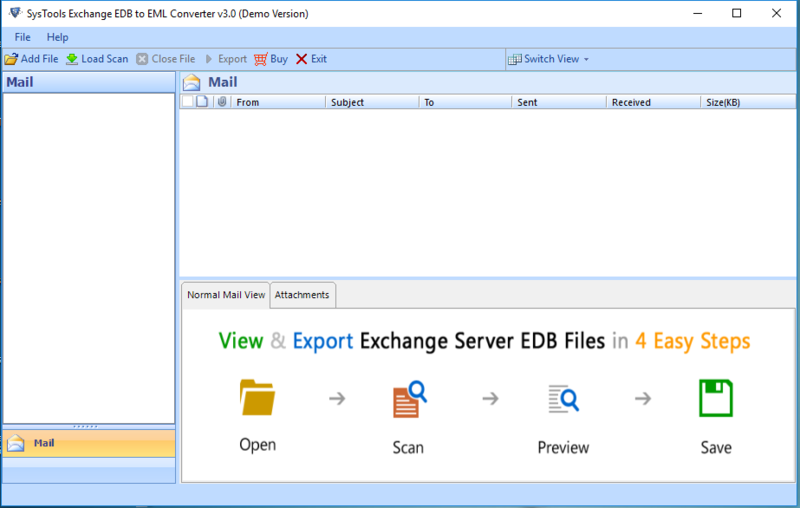 For each EDB mailboxes, there would be an individual folder in which the converted data will be saved in it. When the file conversion completes, this software will create a complete export report. The user can freely view the progress by using these three tabs such as Pending, In Progress and Completed. This progress report will show the name of the mailbox, the completion status of a mailbox and the total number of exported emails. 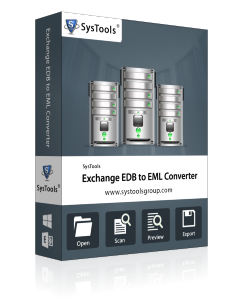 EDB to EML converter offers dual scanning modes i.e. Quick and Advance. 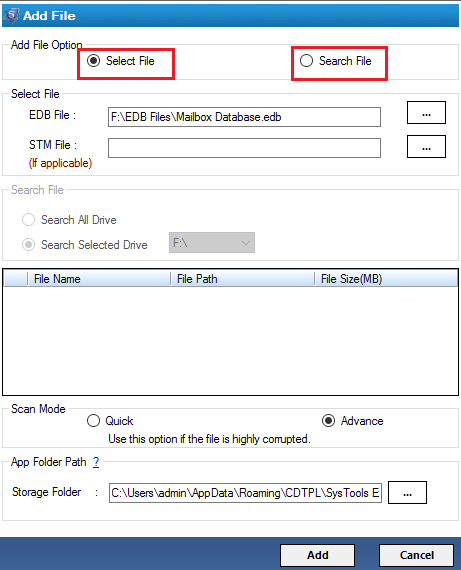 With these two scanning modes users can recover the corrupt EDB files. In case, if a file is healthy then, the software will perform the quick scanning mode. Otherwise, they will select the Advance scan option to recover the data from it. Search Selective Drive: This feature allows a user to search .edb files within the selected drives in a local system. 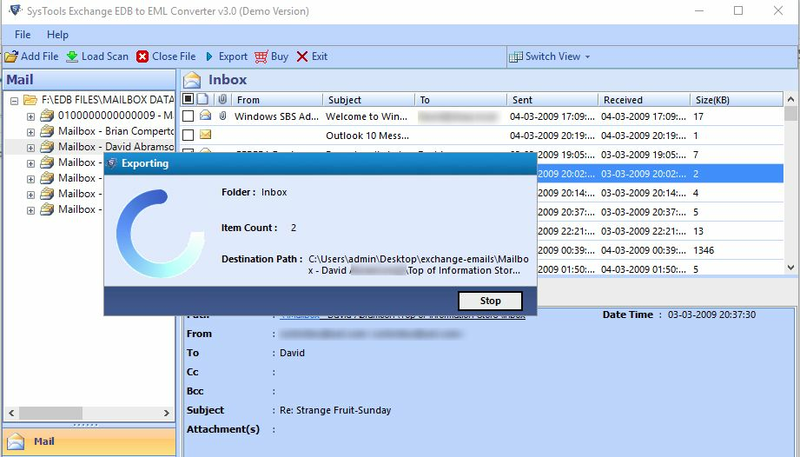 The users can easily filter their emails within the specified range of Date while using Export Exchange Email to EML Converter. However, it offers new feature to apply filter in certain time slice, which gives the detailed information within a narrow Scope. EDB to EML Wizard enables the users to retain the folder structure same as the original file structure. This software will permit the users to locate multiple files easily and also provides an easy-to-use interface for all users. For saving all EDB files to EML format, the users are applicable to select the desirable naming conventions. Even the users can preserve each file with specific date, subject, etc. when exporting Exchange 2010 to .eml format. Select EDB file or Search EDB in all drives. Select advanced scan for highly corrupted EDB. You can view mailboxes of EDB file in the left panel of a tool and emails in the right panel along with attributes. This window will give you multiple options such as: EML option, browse destination location, Maintain folder hierarchy, Adv setting etc. 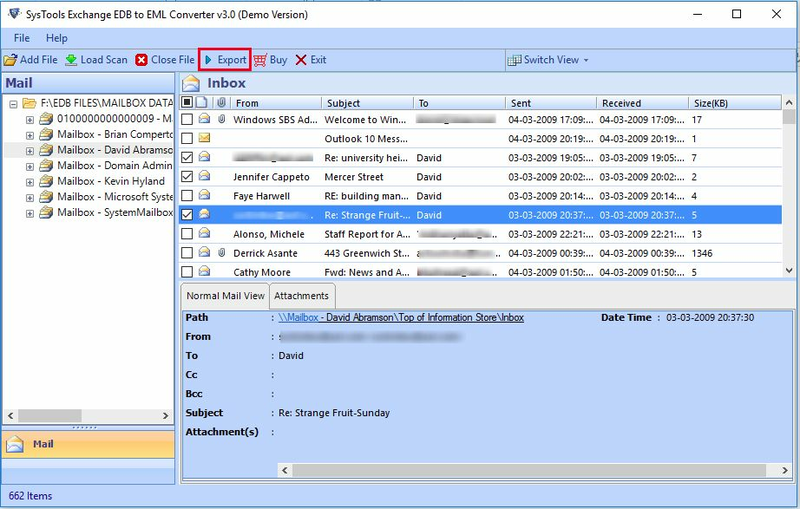 You can save emails as EML with different naming conventions such as Date+From+Subject. You can apply date filter option to save emails of a certain time period. Tool displays a new window which shows conversion process. After that, it will generate export report which can be saved in CSV format. Check out the potential of a tool by downloading free version. 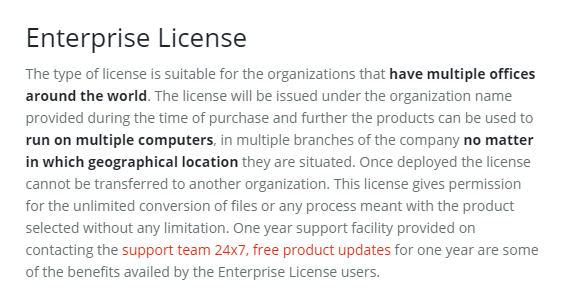 Trial Version Limitations: Free trial version of the tool load, scan and generate preview of all the EDB mailboxes. Windows 10, 8.1 8, 7 users need to initialize the tool as "Run as Administrator"
I was searching for the utility that can help to move my files from Exchange EDB mailboxes to EML format for a long time. Then, my search finally ending up with this great Exchange to EML Converter. It has been solved all my problems in a few rare minutes. It is really an awesome and easy to use software. Especially, Thanks to the development team for making this incredible tool. I absolutely appreciate it! Copyright © 2007- 2019 www.exchangetooutlook.com All Rights Reserved.